Wearing cute costumes and enjoying the fun event, coming in pail after pail of sweets; your little monster is sure to revel in the Halloween experience. But with the candy, gum, chips, cupcakes, and other junk food that comes with the Halloween parties, trick-or-treating and other Halloween events, the exposure to sugar can give you a toothache just thinking about it. Before you abolish all of the treats, or concede and except your fate, you should keep in mind not all candy is created the same. There are treats less damaging to your kid’s teeth, but the chewy options such as gummies for example, should be avoided because they stick to teeth far longer than other selections. When you sift through the children’s loot, there are a few rules to apply if you want to prevent extended damage to their oral hygiene. 1) Select Candy that is Not as Bad for Teeth. The best types of treats are those that dissolve easily and don’t produce residue that sticks to the teeth’s enamel, according to the American Dental Association (ADA). Some Halloween candy, unfortunately, is designed to linger in the mouth. Because they cling to teeth and provide sugars for bacteria to feed on, your ghouls and ghosts should avoid lollipops, gummy worms, and any hard-sucking candies that are especially bad. The reason being is that these can significantly contribute to tooth decay. Let your kids munch on chocolate or other classic candies that disintegrate quickly and skip the sticky products. 2) Halloween Candy Buy Back. Some dental offices, or even your own program will offer buy-back program. Some dentists and other health-conscious businesses or even you can offer 1$ for every pound of bad candy or treats that are then donated to worthy organization. Instead of fighting with your child to ditch the gummies, wax lips and other indulgences, you can have them trade their candy for money for cash, so they can buy small toy, for example, can be a nice incentive for your child to forget the worse candies. 3) Binge on Candy Only for a Short Time. Halloween can be a morning-to-evening treat extravaganza, whatever you have planned for the holiday. Letting your child graze from sun-up to sundown means letting his or her teeth bathe in sugars and acidic ingredients all day long with the access to marshmallows, cupcakes, pretzels, chips, and candy ruling the day. Adopt a “binge” mentality for Halloween, your little one can brush away the evidence before bed, considering condensing these expected treats to one short feast at night. 4) Favor Healthy Treats. Enticing your child to choose healthy treats over sugary ones can be a challenge. If you make healthy snacks more attractive, they may be more inclined to forget about the snacks. For example, make frozen banana halves into friendly ghosts with chocolate chip eyes and mouths. Glow sticks or temporary tattoos to support a cavity-free Halloween in your neighborhood of go food-free altogether and hand out stickers. 5) Insist on Extra Teeth Brushing. In the excitement and buzz of the Halloween season, your little goblin might neglect brushing. This is the time of year to not only be diligent about morning and evening brushing, but also insisting they brush half an hour after they have a sugary treat. Don’t forget about your checkups at the dentist. 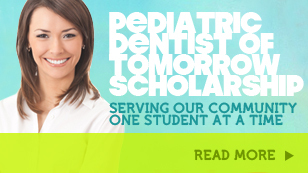 Call Smile Reef today to schedule your kids’ dental exam. Years ago if you had a cavity your dentist would automatically fill it with a silver colored filling. In more recent years white colored fillings have become available. Many people ask us what is the difference between these two fillings and which one is best for their child. Today we will go through all of the details you need to decide what type of filling is best for your kiddos. Silver fillings are not actually made entirely of silver. They are a mixture of silver, copper, tin, and mercury. 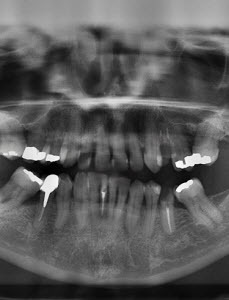 They are called amalgam fillings. The thought of having mercury in your mouth does not make people very comfortable. The FDA has done extensive research on the amalgam fillings and has concluded that they are safe for adults and children over the age of 6. –	Amalgam fillings last between 10 and 15 years. –	They are incredibly strong. –	Amalgam fillings are also cheaper sometimes. Many insurances have a lower rate for patients that choose amalgam fillings. –	This type of filling takes less treatment time when you are at the dentist. –	The first one that most people will mention is that they do not look as good as a tooth-colored option. –	Amalgam requires more of your healthy tooth be removed to make room for the filling. –	When the temperature in your mouth changes amalgam fillings expand and contract. Over time this decreases the integrity of the tooth. –	Amalgam fillings do not work well if the cavity is too small. Over the years a new type of filling was introduced. A composite filling is tooth-colored. There are no health dangers associated with the white composite fillings. –	A composite filling lasts for 7 to 10 years. This is less than amalgam fillings but is still a large amount of time. If you have excellent oral hygiene sometimes they can last even longer than 10 years. –	Your fillings will blend in with the color of your teeth. Many people are extremely embarrassed about their amalgam fillings. People choose to replace their amalgam fillings with composite fillings just for aesthetic reasons. –	More of your healthy tooth can be saved during treatment than when amalgam fillings are used. –	Your tooth and the composite material bond together and make for a stronger surface. –	They may cost more than amalgam fillings. Some insurances do not cover composite fillings at all. –	Treatment will take a little bit longer to complete. –	Risk of chipping is higher than with amalgam fillings. We hope that this information has been educational for you. If you still have questions about what type of filling to choose for your children please give Smile Reef a call. We would be happy to talk over the options with you. We know the kind of love and protection parents feel towards their children. We want to ensure that you are completely comfortable with whatever decision you make.